If you are looking for ceiling lights that will draw admiring attention, then you will be pleased with our selection of drop lights. Choose from a wide variety of styles and finishes to find the perfect light to accentuate, or even become the focal point, of a room. Our ceiling fixtures are tested to meet UL Safety Standards. 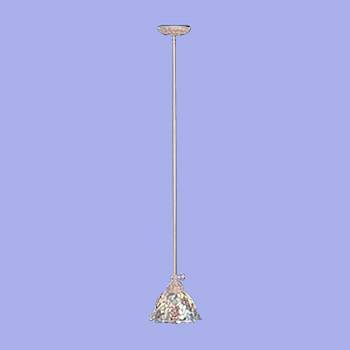 Ceiling Lights: This hanging Bronze Art Nouveau ceiling light with a stained glass and bronze finish measures 46 inches (height) x 9 inches (wide). e). 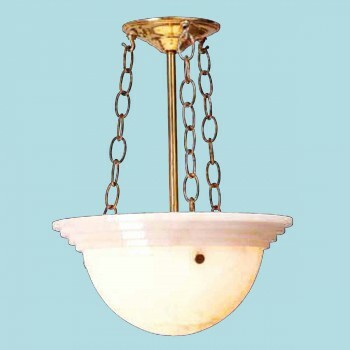 Alabaster Bowl Chandelier: Our Brass Alabaster Chandelier is made of alabaster and comes with bright solid brass fixtures. Features protective tarnish resistant finish & measures (height) 21 inches x (width) 13 inches. Takes one 60 watt max regular style incandescent bulb. Alabaster Bowl Chandelier. 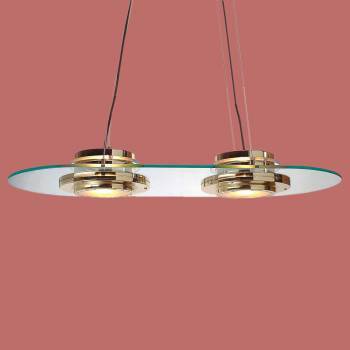 Ceiling Lights: Our Pendulum Brass Lamp in a bright solid brass finish is ideal for central work areas like kitchens. Features protective tarnish resistant finish & measures (height) x (width). (See product specification for detailed info).